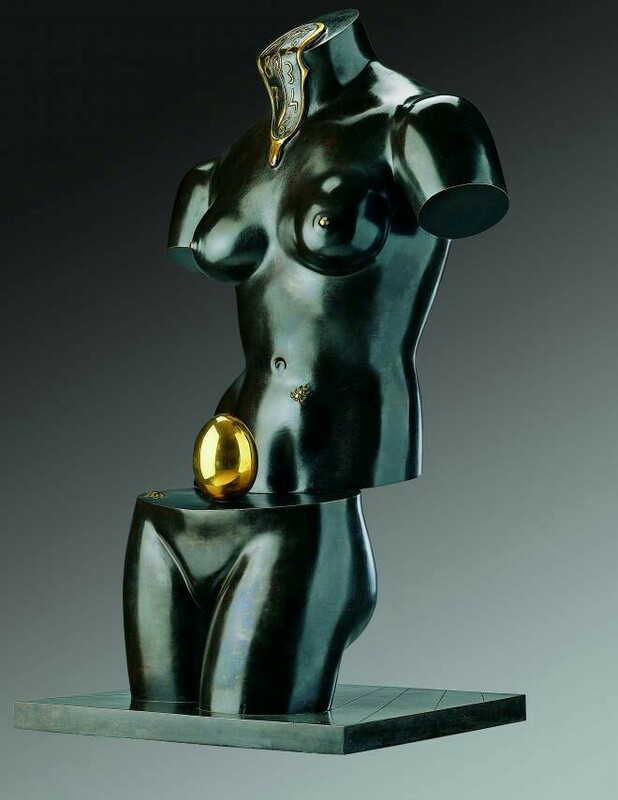 Space Venus, conceived by Dali when he was in his 70s, is a startlingly accurate reflection of many of my thoughts and feelings at this time. There is violence against the body, revealing the precious but vulnerable life (or source of life) within. The melting clock ineptly but irrevocably holds us all subject, dictating the transience of reproductive capability, femininity, beauty, life. I first saw a picture of this sculpture a few days ago, and my first thought was, “How did he know?”. These aren’t themes that most people – even artists – are so acutely aware of. Salvador, my friend. How did you know me? The Salvador Dali that we know was the second Salvador Dali born to their mother, Felipa. The first died before turning two, about nine months before the birth of the second. In the parlance of the babyloss community, then, the famous artist was a “rainbow baby”. Felipa told him that he was his brother’s reincarnation. The mother and son were very close, but Felipa died of breast cancer when Salvador was just sixteen. Later, Salvador’s sexual tendencies didn’t easily fit into the conventional boxes. At any rate, he married a woman, Gala, who was about ten years older than him and had a daughter from a previous marriage. Their relationship may not have looked like a typical marriage, but they were very close. They had no children, which may have been related to Salvador’s sexuality, Gala’s gynecological problems, or both. Gala underwent a hysterectomy in 1936, presumably for uterine fibroids, although I’m not sure how they would have arrived at a diagnosis during those earlier days. Likely, Gala suffered years of heavy vaginal bleeding and pelvic pain prior to the surgery (Dali’s 1930 painting The Bleeding Roses may touch on this, and the 1935 Woman With A Head of Roses may also reflect Gala’s experience). The hysterectomy was performed long before the development of minimally invasive procedures, and before the important role of the ovaries was understood. I would wager that Gala’s surgery was a very large and painful procedure and that the surgeons “took it all out”, throwing Gala abruptly into early menopause (I imagine that the 1958 painting Meditative Rose reflects this loss – an amputation, of sorts). So. The violence of the female reproductive experience. Baby death. The complex relationship between women and their unseen reproductive organs. The cruel incompetence of time. The preciousness of life. The incongruence of life after loss. Felipa, Gala and Salvador were here before. If Dali’s art on the subject is surreal, at least part of the surrealism is due to the bizarre nature of modern mammalian existence. There is no established convention for the portrayal of these experiences. Medicine is new. Surgery is new. Science is new. Caring about and preserving a record of women’s lives and female-specific events, well, that has been inconsistent at best. Life and death are the oldest things, but we do them much differently now. And it is so surreal.